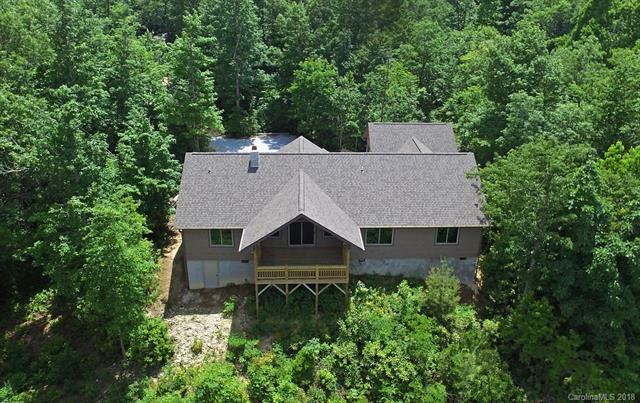 Incredible long range views from this one level new construction home on over 3 acres. Level lot with massive views to Pisgah National Forest and the French Broad River valley, small steam originates on property with waterfall. Cathedral ceilings in living room with large rock fireplace, tongue and groove ceilings, and beams with windows to take in the big views. Split bedroom plan, large master suite with soaking tub, tile shower, and dual sinks. 2 full bedrooms plus additional office, 1/2 bath and separate laundry off the 2 car attached garage with additional storage area.